Launch EDB to PDF Converter Software on any version of Windows Operating System, like Win 10, 8, 7, Vista, XP etc. 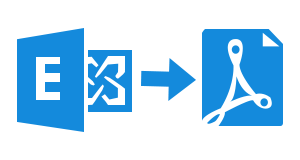 This EDB File to PDF Conversion Software has two ways to recover data from Exchange EDB mailboxes before the actual conversion starts. One is from the public and the other one is from the private database. This tool efficiently transfers Exchange Mailboxes to Adobe file format. Each email of Exchange Server will be saved as a PDF file and will be stored in its respective folder. For example Drafts mails will be saved in a Drafts folder. This software quickly scans all the emails and then previews all the EDB mailboxes while users export EDB to PDF files. 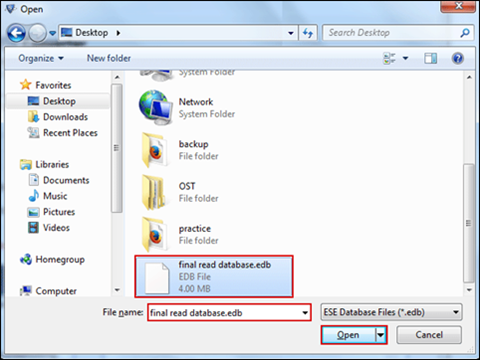 In case, EDB file is highly corrupted then, Advanced Scan mode is also available. 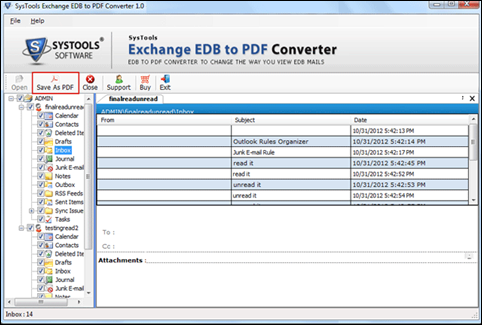 Exchange Emails to PDF Converter gives users an option to selectively export only the desired EDB files by checking/unchecking the email items or folders. In this way, only selective items will be exported. While users migrate EDB mailbox items to PDF format using this tool, a progress report is displayed on the screen to let users know the status of migration. Different tabs show files pending for export, files successfully exported, etc. As users convert EDB to PDF file format, they are given an option to save the Adobe file at their desired location or in a new folder. 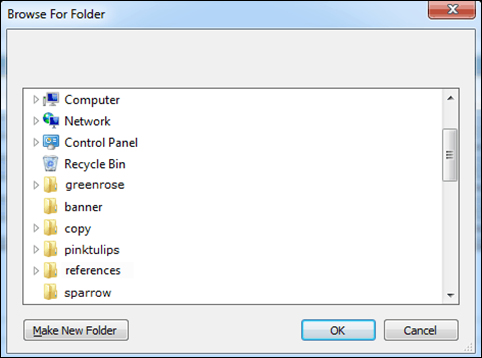 Also, a new folder can be created directly from the software panel. Do I need Live Exchange Server environment to convert my Exchange EDB to PDF? No, Exchange Server is not required for the conversion of EDB mailboxes to Adobe files. What is the approximate time this EDB to PDF Converter takes in migrating? This EDB to Adobe Migration tool does not take much time. It depends more on configuration of system and also on the size of Exchange emails. What is the maximum size of EDB file that can be converted into PDF? There is no such limit on the file size. This EDB to Adobe PDF tool can export file of any size into PDF format successfully. As I export EDB to Adobe, will I be able to perform migration on Public EDB folders as well? 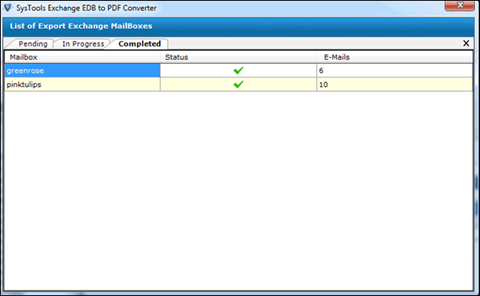 Yeah, users can very easily export Public Exchange mailboxes to PDF using this software. How many EDB files can be converted using this software at a time? Using this EDB to PDF Tool, only one file is converted at a time. However, there is no limit on number of times this tool is used for conversion of any number of files. 1. 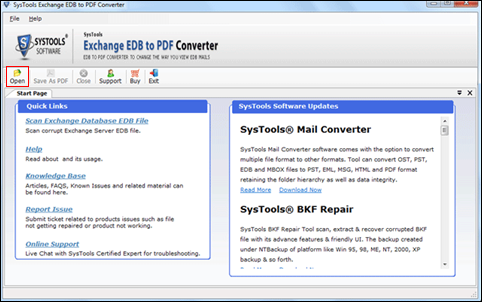 Download and launch EDB To PDF Converter Tool. A window will appear, click Open option from the top left. Choose storage type i.e, from a Public or Private database. Also, check mark Advanced Scan mode if EDB file is highly corrupt. After the file is located and all options are selected, the user can click on the Open option. Now files will be scanned and a message will appear on its completion. Click on OK button here. In the next window, check mark the email items that are to be exported and click on Save As PDF option. Finally, select the desired location to save the PDF folder or else make a new folder to save Adobe file and click OK.
After successful completion of migration from EDB to PDF, a pop-up message will appear. Again, click OK here. A list of converted PDF files will be previewed with mailbox name, just go through it and close the screen. Finally, exit the screen by clicking on Yes in the warning message. This is the final completion step of exporting Exchange Mailbox to PDF. "Oh my god! I am completely amazed how one tool can do so many things, from scanning to recovering, from converting and saving to an entirely new folder, and what not. Its a wholesome package for all the users looking for a proficient Exchange to PDF converter tool. Frankly speaking, this tool has sorted all the issues that came earlier in sharing email contents when Excahnge environment crashed." "Buying Exchange EDB File to PDF converter has been by far the best choices that I have made. This software allowed me to have a hard copy of emails that I feared would be completely lost if my Server disrupted. Moreover, its such an easy to use tool. Now I can keep all my files secured with password as well. A big thanks to your team!"